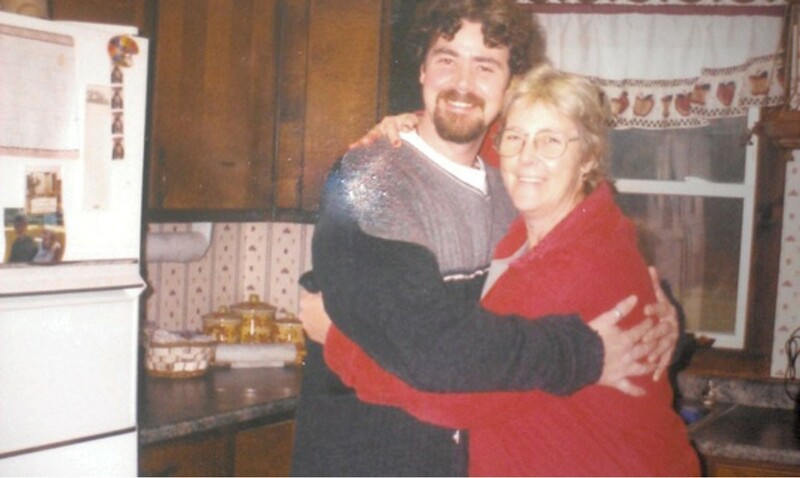 When an unarmed, mentally ill man died after being shot by a Taser-wielding Vermont state trooper in June 2012, members of the public and many officials responded with outrage and calls for reform. Advocates for the mentally ill pushed for stricter rules and training for officers who carry stun guns. The Attorney General's Office held public hearings, as did a police advisory board. More than 30 lawmakers from both political parties sponsored a bill that they said was a direct response to the death of 39-year-old Macadam Mason at his Thetford home. 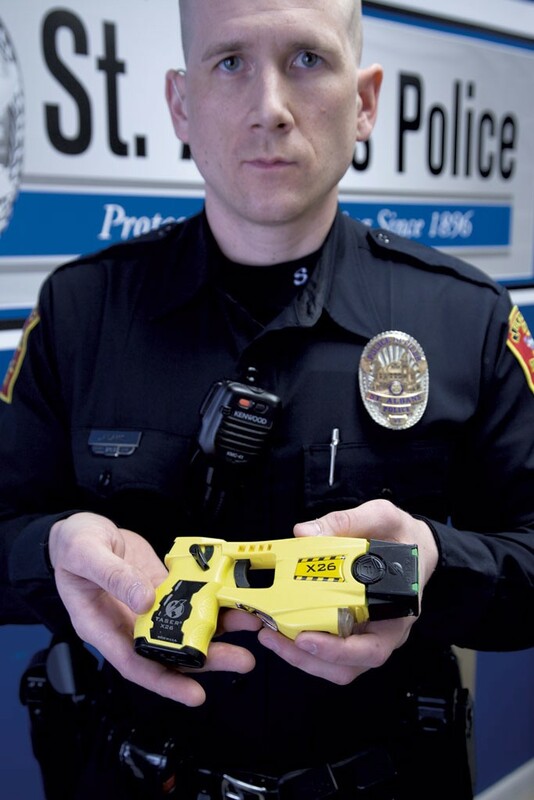 But nearly two years later, little has changed in how Vermont police officers use stun guns. And the primary effort to bring change — a bill that passed the House Government Operations Committee last week and seemed poised to clear the House as of press time — was so watered down that some of the committee members who approved it unanimously questioned how effective it would be. "I wanted to see something much stronger," State Rep. Joanna Cole (D-Burlington) said during a hearing last week. "It was my impression that we were going to put out a bill that would change the status quo. Are we convinced that what we've got here with this bill ... that we would not see a replay of what happened to the gentleman from Thetford?" State Rep. Maida Townsend (D-South Burlington) asked her fellow committee members. She received no answer. Supporters of the bill acknowledge that some provisions were stripped away that would have resulted in greater oversight of police stun-gun use. But they say the bill makes one crucial advance: For the first time, Vermont would have consistent standards and training — to be conducted at the Vermont Police Academy — for officers who carry stun guns. Currently, most departments conduct their own training, based on their own rules. "It's setting up for the first time a policy that will be used statewide for training," said Donna Sweaney (D-Windsor), who is chair of the gov ops committee that crafted and passed the bill. "That is one of the important issues that we wanted to have happen." But not everyone is convinced that even that will do much to reduce questionable Taser deployments. Why? The bill essentially enshrines into state law those policies that individual law-enforcement agencies have used for years — policies that critics say have allowed for excessive use of stun guns. Current standards at Vermont police agencies, mirrored by police agencies across the country, allow officers to fire Tasers when they are simply at risk of injury, or when subjects are "actively resisting" police commands. "I think the bill makes the situation worse ... They're codifying a poor public policy," said defense attorney Robert Appel, the former head of the Vermont Human Rights Commission who has pursued litigation against police officers in use-of-force cases. "It's a green light to a police officer to use it any and every time they have any concern about them or the subject being hurt. It's a low-level standard. I would rather see them do nothing than pass this language." Rhonda Taylor, Mason's mother, also said she thinks the bill falls short of needed protections for civilians. "I am so disappointed with the governor of Vermont, the Vermont attorney general, the Vermont State Police ... and the Vermont legislature that is in the midst of passing this vague, passive bill," said Taylor, a New Hampshire resident. "My struggle every day to survive the death of my son is extreme beyond words. I sincerely hope that no one else has to suffer the way our family and all of his loved ones have." Tasers took center stage in June 2012, when Vermont State Police responded to a call that brought them to the home Mason shared with his girlfriend, Theresa Davidonis. Mason had telephoned a local hospital and threatened to harm himself and others. After suffering a brain seizure the night before, Mason was in an agitated and irrational state that doctors say is common among such patients. Davidonis says she relayed that information to troopers and pleaded with them to leave Mason alone so that he could calm down. Instead, a confrontation ensued, during which Trooper David Shaffer ordered Mason to lie down on the ground. He didn't, and police say Mason began moving toward the trooper in a threatening manner, with a closed fist. The trooper fired his Taser, striking Mason in the chest. He died of cardiac arrest. Davidonis' son has said that Mason had raised his hands in surrender, and was not a threat to police. Attorney General Bill Sorrell cleared Shaffer of criminal wrongdoing, saying the trooper was justified in firing the stun gun. But in announcing that decision, Sorrell said he would convene public meetings to discuss police use of Tasers and asked the state's law enforcement advisory board to study training protocols. Meanwhile, more than 30 lawmakers proposed legislation that would have dramatically limited the conditions under which police could fire Tasers, which emit about 50,000 volts of electricity to temporarily paralyze a target. The law would have required police to use Tasers only when they felt their lives or the lives of others were at risk, the standard that applies when officers fire a traditional gun. The bill also would have required officers to take "steps to prevent unwarranted use" of stun guns against people who, like Mason, suffer from cognitive impairments that interfere with their ability to understand and follow police commands. Both provisions were stripped from the final bill last week. In their place was language that gives police broad discretion in deciding whether to fire Tasers — the kind of latitude they currently enjoy. The bill now says, in part "officers are not required to use alternatives that increase the danger to themselves or the public" and that stun guns can be used "in response to an actively resistant subject." Such language is included almost verbatim in existing policies long used by most Vermont police agencies, including the Burlington Police Department and the Vermont State Police. How did a bill designed to include greater protections from stun guns for civilians end up simply repeating regulations long used by police? Sweaney's committee decided to defer to the work of another group that had been studying the Taser issue — the police-dominated law enforcement advisory board. The LEAB, created by the legislature in 2004, is charged with advising state officials on law-enforcement priorities and improving coordination between police agencies. By law, 10 of its 12 members are law-enforcement officials and prosecutors. The LEAB, in turn, used existing policies from local police agencies in drafting its own statewide policy, which went back to Sweaney, according to LEAB chairman Rick Gauthier. Sweaney, the committee chairwoman, acknowledged that the bill was rewritten to match the LEAB's draft policy. But she pronounced herself satisfied with the result. But these are the very same policies that have made Taser use controversial in the first place. Of most concern to critics is the adoption of the "active resistance" standard for firing a Taser. The LEAB's current training protocols define "active resistance" as "pulling away, escaping or fleeing, struggling and not complying on physical contact, or other energy enhanced physical or mechanical defiance." Active resistance has been at the heart of several questionable police Taser incidents, some of which occurred long before Mason's death. It was the reason a Vermont State Police trooper gave in 2006 for firing a Taser at a Bradford man who was suffering an epileptic seizure while police attempted to handcuff him. Another state trooper had the same justification for firing a Taser at a 23-year-old man with Down Syndrome who, when police tried to move him, refused to go along. Both incidents led to lawsuits. The state paid $40,000 to the Bradford man; and the man with Down Syndrome received an undisclosed sum of money from the state. In 2012, Vermont Public Radio reported that Vermont State Police had fired Tasers at people attempting suicide or experiencing a mental health crisis 10 times in the previous 18 months. Mental health advocates say the people they represent are often thought to be "actively resistant," when they simply don't understand what police are telling them. "To me, that doesn't justify the use of something that is potentially lethal. Active resistance, in an individual with cognitive disabilities, it's an indication that they probably don't understand what [police] are trying to do," said Ed Paquin, executive director of Disabilities Rights Vermont. "They key is the threshold of when it can be used. I don't think they should be used for things that are a matter of compliance. It should be clear that somebody has to be in danger before the thing should be used." Similar questions have surrounded the use of stun guns across the nation. A 2011 study by the federal Department of Justice generally supported the use of Tasers and similar devices to subdue subjects who hadn't responded to other measures. However, it called for caution in dealing with people who, like Mason, were mentally unstable. "Abnormal mental status in a combative or resistive subject, sometimes called 'excited delirium,' may be associated with a risk for sudden death. This should be treated as a medical emergency," the report stated. Sweaney said the push for increased, universal training will address many of the concerns. As with most legislation, she said, some lawmakers had to compromise in order to move the bill forward. "We wanted to make sure the training was there," Sweaney reiterated. Those law-enforcement agencies that do use stun guns say the weapons have proven invaluable in reducing injuries, both to officers and civilians. Police chiefs from three Chittenden County departments — Burlington, South Burlington and St. Albans — said in interviews that stun guns have led to fewer worker's compensation claims being filed by officers and a reduced number of confrontations with subjects who are more compliant when faced with a stun gun. South Burlington Police Chief Trevor Whipple said he has received no complaints from civilians about Taser use since at least 2006. Meanwhile, his officers have fired and brandished the weapons less frequently every year; the mere threat of the weapon is usually enough to make subjects obey commands. "They're a very valuable tool when used appropriately," Whipple said. "When it's needed, it's incredibly effective." If the bill with increased training requirements passes, Whipple believes his officers, who received in-house instruction guided by Taser International, will likely be considered in compliance. LEAB's Gauthier indicated that many officers could be grandfathered in but may have to receive annual recertification from the Vermont Police Academy under a future program. Gauthier said the bill represented a good starting point in making police use of Tasers safe, but cautioned that there would always be some danger involved. "What we're trying to do is give more guidance in scenarios," Gauthier said. The new legislation does include at least one new protection against potential police abuse that officers in South Burlington and elsewhere will have to remember. At the behest of State Rep. Linda Martin, the bill includes a provision banning officers from using stun guns on animals, unless officers feel their safety is threatened. That won't do much for the next Macadam Mason. "I'm not sure what you're accomplishing by passing it," mental health activist Laura Ziegler told lawmakers, "other than saying you did something."